When did you first become interested in Martial Arts training? I really don’t know, always I guess. When I was a kid in the 80’s there were so many great martial arts movies and TV shows out. I’m sure I was exposed to something that captured my interest. I do remember seeing an old copy of Black Belt Times a friend had brought with him on the school bus that really fascinated me. When I was in 2nd or 3rd grade, a school friend invited me to watch his martial arts class….. At the Dragon Gym. I loved it! My parents were not quite as enthusiastic about martial arts at the time. Why did you decide to enroll at the Dragon Gym? How did you get involved with teaching/becoming an instructor? I was a green Belt and working part time at a paint store. Grand Master Goh came in one day and liked how I dealt with customers. We started talking and he offered me a job at the front desk. After a while of working the front desk he invited me to start teaching some of the kid’s classes. 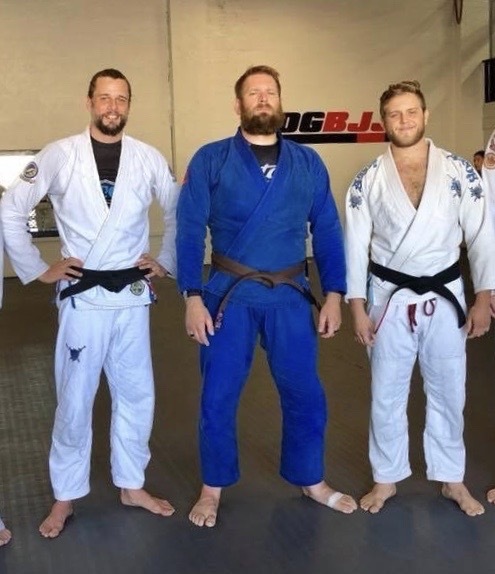 I was a blue belt. You’re also a certified Martial Arts Instructor. How did you train for that achievement? When I was training to become an instructor, there was a slightly different pathway for instructors than today. I think it was mostly getting yelled at, beaten with a stick and physical endurance tests. Maybe I was a slow learner. My training regime has varied widely over the years, but currently it consists of three major components. 1. 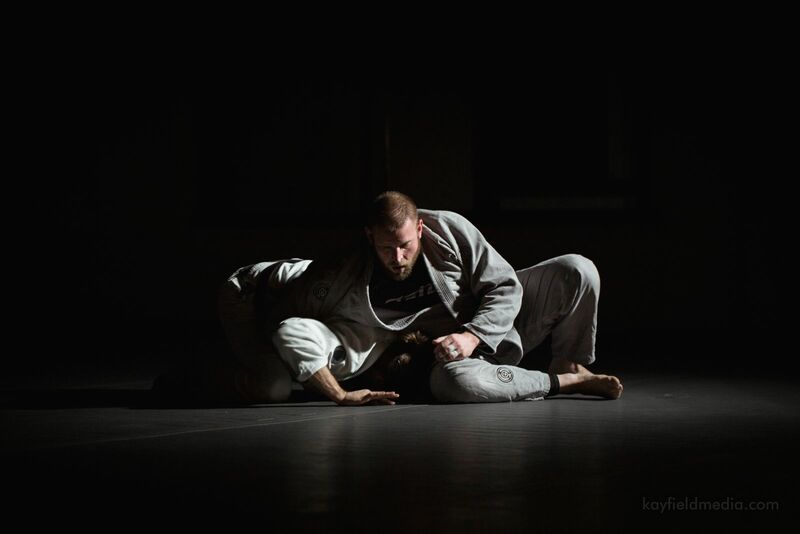 Jiu-JItsu, I teach 7 or 8 classes per week, in which I will sneak in some sparring sessions, and then the classes I take with my professor—Jason Eames from Atos Jiu Jitsu 2. Weights, squats, deadlift, and some bench work. 3. Bike riding, sometimes solo, other times I will tow my son in a trailer. Do it. Seriously what are you waiting for? Life is short. What about someone with ambitions of becoming a Martial Arts instructor? Get in touch with your instructor and coach, make your intentions known. They may enroll you in an instructor program or they may just start giving you opportunities to start coaching. What kind of benefits have you received from your Martial Arts and Brazilian Jiu Jitsu Training at Dragon Gym? You name it, physical, mental, I spent my formative years here. I don’t know if these benefits were instilled by the martial arts and the people I was surrounded by or if they were endemic to my person and uncovered by the martial arts , but I know this; I wouldn’t be the same person if I had not walked through that front door. Earning a black belt in BJJ; I still need to break 600lbs on the deadlift and keep working on my 4th degree in TKD. What Fears and Reservations did you have about starting here? I was pretty excited when I started, I didn’t have many reservations, no fears. It was a little intimidating to get started back then. It wasn’t like today, there was no one greeting you at the front desk, no Pablo doing an orientation and helping get a new student off on the right foot. I didn’t care, I was pumped. Head Instructor Chris Taylor has been a part of the Dragon Gym family since and has been involved in teaching for two decades. He has had the opportunity to train and learn directly from Grandmaster Goh and in turn has adopted his effective teaching style. In 2008 he received a commendation from Kukkiwon (World Taekwondo Headquarters) for his efforts on teaching and spreading Tae Kwon Do in the United States. Instructor Chris is the head instructor for the Dragon Gym Junior Program. He also works with students in the Junior-Elite program specializing in Jiu-Jitsu. With the Martial Arts Curriculum, Chris emphasizes Self-Control and Responsibility and the value of these virtues to build a better life and a better society. In addition to 3rd Degree Black Belts in Taekwondo & Hapkido, Chris holds a Brown Belt in Brazilian Jiu-Jitsu. He continues to study various martial arts including Brazilian Jiu-Jitsu with the world-renowned team ATOS. He also consults on defensive tactics to various law enforcement and private security outfits.